This blog entry was written by Binayak Das. Binayak is the research & knowledge coordinator at WIN and is also the focal point for South Asia. He has many years of experience working in the water and development sector. The South Asian Conference on Sanitation, popularly known as SACOSAN is a bi-annual powerful intergovernmental platform/conference trying to improve sanitation services in South Asia. The platform covers numerous issues related to sanitation governance, management and technology. Progress are highlighted, new products are proudly displayed, there is an array of exhibition halls, plenary sessions and intense discussions, and resolutions to improve the toilet plight of South Asia’s 1.5 billion people of which more than 60 % don’t have adequate sanitation access. Topics covered in SACOSAN range from SMART implementation ideas to the demand for more investment to the need for behavioral changes to the usage of dry and eco toilets. All these elements are definitely required and go a long way to improve sanitation services. And progress has been made, efforts are multiplied and results can be seen, but the scale of the problem requires catching other dimensions by the horn apart from those addressed now. This blog entry was written by Binayak Das, Knowledge and Research Coordinator, as well as regional coordinator for South Asia, at WIN. School going kids in many countries are deprived of basic sanitation and hygiene facilities despite funds and projects innumerable. This can happen as funds for building toilets gets siphoned off; or if a toilet is built, maintenance funds go missing leaving the toilets unusable by students. UNICEF estimates that more than half of world’s schools lack clean toilets, drinking water and hygiene lessons for all school children. The lack of school sanitation is a telling factor that impacts students, especially girls and their completion of school education. This is a common situation in many countries including India. Official figures seem to project success while in reality, the case is otherwise. 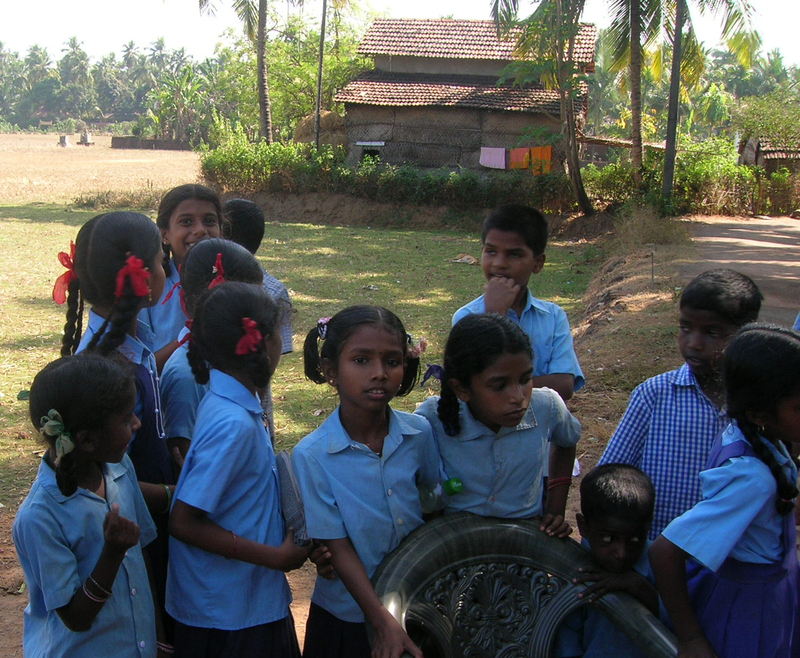 Take the example of Andhra Pradesh, a state in southern India which has a total of 96,277 schools; and it is reported that 89% of the schools have a toilet facility according to the District Information System for Education statistics from 2010. This number however does not indicate if the facilities are benefiting the students. Data from the state education department states that only 26% of the facilities are functional and about 28% of the schools only have a functional toilet for girls. Toilets are lying idle because of various reasons – shoddy or incomplete construction, lack of water facility, non-availability of toilet cleaning and hand washing ingredients, and unclean toilets. Accountability and transparency is missing from this process. All these reasons point towards the lack of integrity in construction, operation and maintenance process of the toilets and this runs contrary to the standards and norms as per the Right to Education Act that schools need to fulfill. Ramesh Kumar Sharma is a member of WIN’s International Steering Committee (ISC) since 30th October 2008. He is based in Nepal where he leads several anti-corruption activities and contributes to the WIN network. Beyond my role as a member of the ISC and collaborating with the other members to support WIN’s central program, I have had the opportunity to closely facilitate the country based program in Nepal. In the initial phase, I focused on advocacy and in encouraging new members to join WIN. Two rounds of stakeholders meetings were held, with some support from TI Senior Advisor and fellow member of the ISC Donal O’leary, and Jalsrot Vikash Sasthan of the Nepal Water Partnership, an institution linked to WIN programmes in Nepal. They facilitated a WIN scoping study and conducted a piloting of a Citizen Card Report study in the Morang district. WIN is now designing a Nepal Country based integrity program with Helvetas Nepal which will contribute to improving water sector governance here. Written by Alexandra Malmqvist, Communications Coordinator at WIN. The Odisha Groundwater (Regulation, Development and Management) Bill, 2011, which was placed before the State Legislative Assembly in the monsoon session, suffers from many loopholes, as felt by the Odisha Water Forum. While the forum appreciates the initiative of the Government of Odisha to regulate development and management of ground water, it is concerned about the fact that the Bill does not address the fundamental concerns regarding ground water management. This year in 2011, a grim reality of acute water shortage has been looming large over the western Odisha’s rural populace (an area in eastern India that is prone to droughts) , thanks to the scanty and erratic monsoon and rapid decline in the traditional water bodies and traditional water conservation practices. It is greatly affecting the agricultural operations and crop production and the rural economy as a whole. This crisis is going to compound in the coming years, as the traditional water conservation mechanism of western Odisha has been declining rapidly over the years due to the compulsions of the developing society like the population explosion, changing land usage and modern agricultural practices. Since time immemorial, the traditional water bodies conserve rainwater to meet the water needs of the people, to recharge the groundwater and to provide irrigation to the crops. In the undivided Balangir and Kalahandi districts of western Odisha, there were about 300 traditional water harvesting structures (TWHS) that irrigated 33 per cent of land, which is now down to 5 per cent only. In Kalahandi district of Western Odisha, there were 120 TWHSs, out of which around 85 have now been converted to residential plots. Following the conversion of the TWHSs into residential plots for the housing purpose, the problem of flash floods in the habitations has now arisen, as the rain water finds no place to be stored during the heavy downpour and creates floods. The population explosion has led to clearing up of the forests and loss of forests resulted in more soil erosion resulting in siltation of water bodies. The encroachment further aggravated the woes. In addition, more emphasis is being laid by the government-industry-contractors nexus on large-scale irrigation projects following which the popularity of water harvesting structures has declined. The Government is promoting farm ponds to provide assured irrigation, but small farmers having land less than one acre, find it difficult to dig such a pond. Instead, the Government should emphasize on digging of TWHSs in the fields which can be dug in small areas and water can be stored till five to six months. The traditional tribes like the Kuda tribe of Balangir and the nomadic Bhunjia tribe were experts in digging wells and ponds and could predict the presence of water in an area just by viewing the soil. They are now working as daily wage labourers, as no new water bodies are being created in the area, leaving very less skilled people having the traditional knowledge. The past generations inhabiting this area had great scientific knowledge of water management. They had also anticipated the climate change and ill-effects for which they had developed such a large network of traditional water bodies to save crop besides meeting their other basic needs and the traditional cropping pattern was done according to the water availability. One local saying very beautifully sums up the importance of TWHSs, ‘khet ke muda te, ghar ke bhudha te’. It means that there should be a water harvesting structure for the providential need of cultivable fields that saves us from the drought just like the very presence of an elderly person guides the family in crisis. Ironically, we are blindly following other models which have brought a lot of unseen problems for the poor farmers of this region and it is time be looked back towards our traditional wisdom to use the scarce water resources.